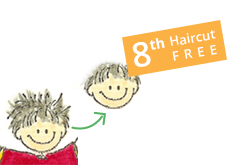 Scissors Paper Stone is a children’s hair salon in town that strives to make the most out of every haircut – ‘cos kids deserve fun! kids get the most out of the activities we provide them,‘cos kids deserve fun! we will be stopping the customized keychain for 1st time customer with effect from 1st June 2016 and for those 1st time customer prior to 1st June 2016 that has not redeemed, you can continue to do so before 30th June 2016.